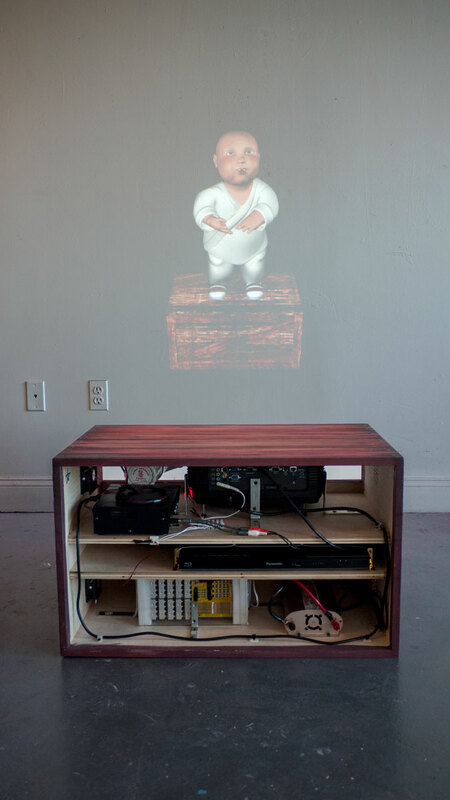 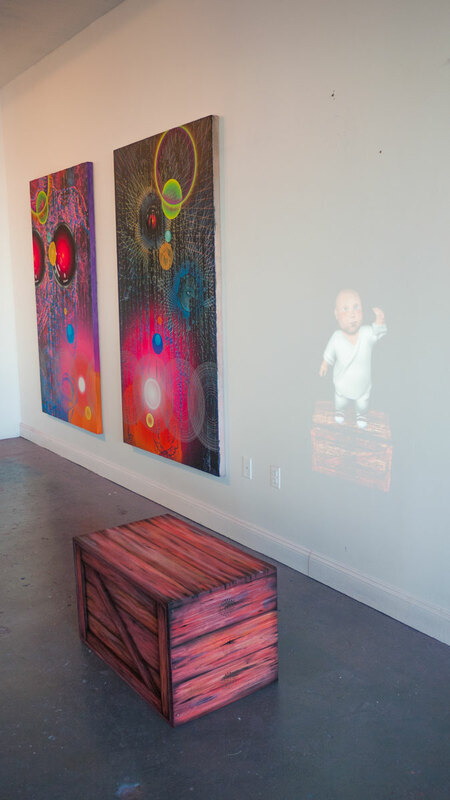 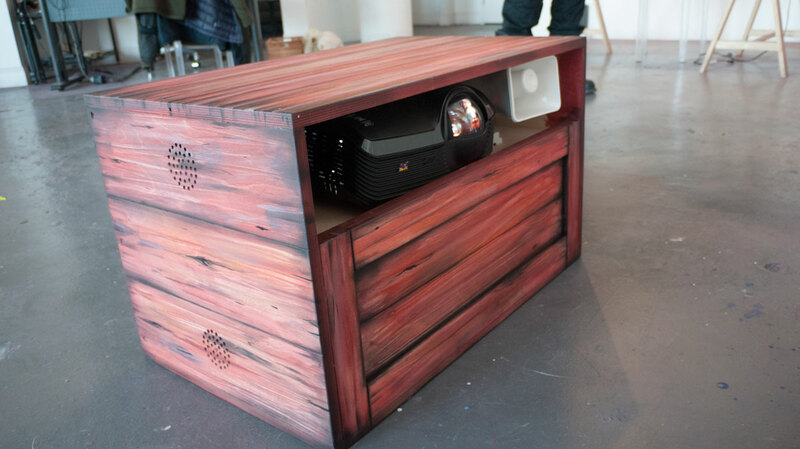 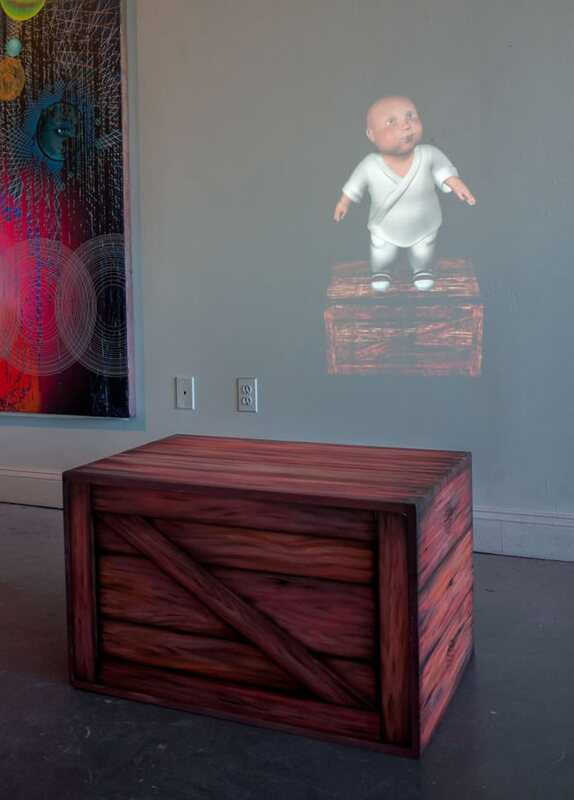 Developed over a year, this device can play a Blueray HD DVD of Matthew's animated "baby Bertolt Brecht" character for up to 3 hours on a charge, and is designed to be placed 2.5 feet from a wall. 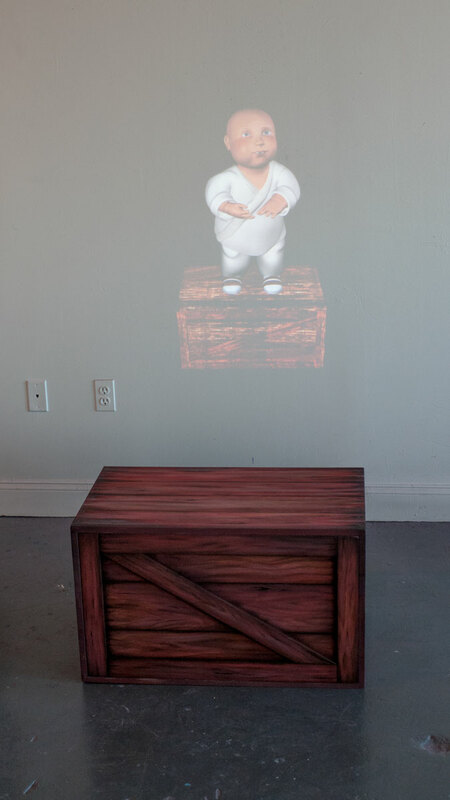 The character is animated based on motion capture of an actor performing the role. 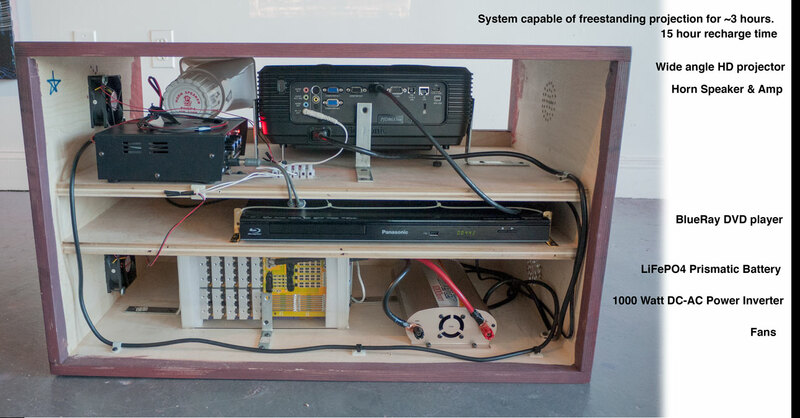 The specialty batteries require a 15 hour recharge time.